The heavy entry of the devotees comes from all over the country and the world. The Sansthan Trust is giving highest priority to the accommodation of the Sai devotees. Sansthan has been built maintaining some of good accommodations in Shirdi. Shri Sai Nivas in Shirdi is a place for accommodation for Sai devotees which is located in Ahmednagar district of Maharashtra in India. The home of the holy saint Sai Baba Shirdi town is visited by large number of devotees throughout the year. Many Sai baba devotees come to Shirdi for darshan of Sai baba. They need complex to rest, place to keep their belongings safely and to use toilet facilities for bath. Sai Ashram Phase 1 consisting of 1536 rooms can hold 9000 devotees. Sai Ashram has 1152 common rooms with attached bath room and 384 AC rooms. There is a common services slab with a restaurant for devotees. It also has an open air theatre to hold about 2000 devotees for Sai Kirtans, Bhajans and other cultural programs. The open air theatre is also designed to have room for Sai baba Palkhis and Padayatris. The Dwarawati is two minutes walking distance from the Bus stand. It is built recently in the year 2008. It has 334 rooms & dormitories & large rooms to contain small groups or families of six to ten people. 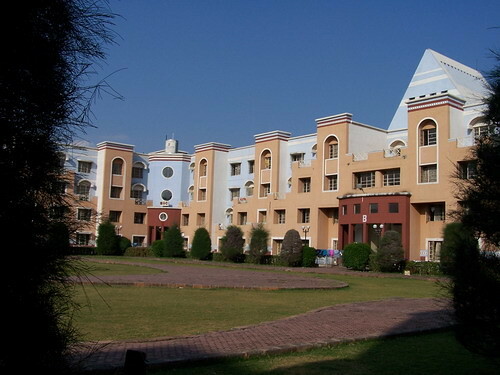 It also have 80 AC Rooms .This complex is also well equipped with the facilities like the parking space, 24 hr. water supply, electricity supply & the security. Sansthan is taking care of the common Devotees by providing the accommodations at fairly affordable prices. A simple room (non-attached with latrine & bathroom) with common facilities is available merely at the charge of Rs. 50/ which can contain four person and the A.C. suits are also available at the charge of Rs.900/- per day. The New Bhakta Niwas is the biggest space complex consisting 542 rooms of various categories. It is about 01 Kilometre away on south of the Mandir Complex, on the Highway itself. Free bus service, shuttling between the New Bhakta Niwas & the Mandir Complex is provided round the clock. This complex is well equipped with the parking space, canteen facility, 24 Hr. water, electricity supply (with full capacity generator back-up) and the security. It is equipped with the solar hot water system.